Today we are going to look at one of the most basic projects out there. Cross square is one of the first squares that a lot of people make. However, basic projects tend to be one of the most beautiful ones after you make them after mastering the art of the crocheting. The same old projects look so much more clean and appealing after, because after gaining certain experience you are making your projects in a lot more precise manner. 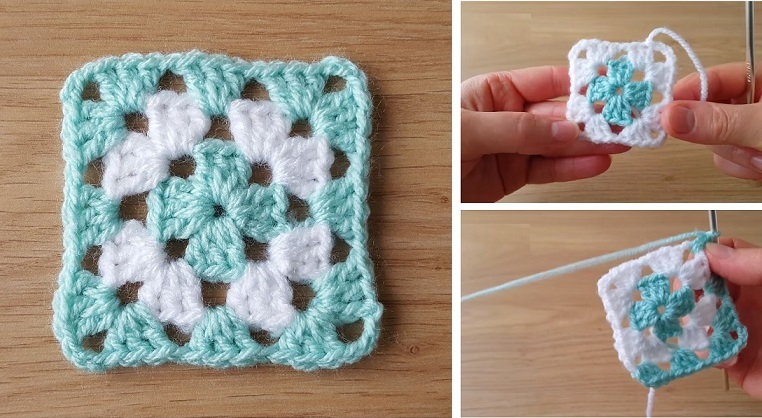 For the beginners out there – learn how to crochet this rather easy square; for the advanced crocheters – let’s go back to the basics and make this square look as sharp as it possibly can.